In one-to-one coaching our executive coaches work individually on your areas of strengths and weaknesses in order to optimize your potential. The coaching works as a catalyst for your enhanced performance and of the teams you lead. Our executive coaching interventions offer a transformational approach to coaching rather than a transactional approach. This means our coaches work not only at the behaviour level but also at the mindset and beliefs level which is the element that makes the difference between short-term change and long-term transformation. Offering customized development as a means of rewarding and retaining key staff critical to the business. Performance Consultants specializes in evaluating the impact of coaching engagements and estimating the return on investment (ROI). We use our in-house coaching evaluation tool, coaching for Performance ROI, to measure the baseline at the outset of the coaching relationship and the growth and development that has occurred during the coaching sessions. 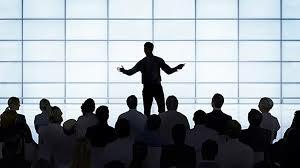 Leadership assessment gives you and your leaders an objective idea of their abilities as business leaders. An effective leadership assessment lets you — and your organization know in a constructive way just what kind of leadership skills you have. While gauging your capacity to handle different roles and responsibilities, a good leadership assessment can help you to define where you want to go as an executive and how to get there. The best leadership assessment tools used by us can assess your performance in a variety of areas and situations. The leadership assessment is focused on personal leadership and business management, it can tell you what your strengths are and what you need to learn to tackle new challenges. A detailed assessment can guide you on the experience and, the leadership and management training required to achieve your business goals. Knowing more about yourself A high-quality leadership assessment will inform you about what kind of person you are, a critical factor on the road to becoming a better leader. Self-awareness of your personal qualities and leadership skills can improve exponentially the way you lead organizations and deal with others. We provide one-on-one leadership coaching with experts who can provide a frank but sensitive appraisal of your leadership skills and your management skills. When you are a leader it is often difficult for others to you tell you candidly how you are doing. Rather than being innately acquired, leadership skills are continually developed and honed through coaching and experience. 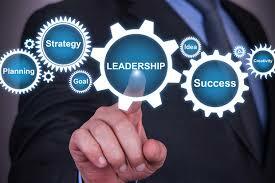 Benefiting from leadership assessment at different stages There is no magic formula for acquiring leadership skills. In a rapidly evolving business world, companies are looking for global leadership capable of changing with the times. The skills that executives need are constantly shifting, so the executive education process to train global leaders is a never-ending process. Developing a leadership plan Leadership assessment can play another critical role for your organization as part of a leadership development plan. It allows you to appraise the abilities of business managers at different levels to lead teams and projects. Leadership assessment helps human resources departments to identify gaps in the talent pool while establishing who is prepared to take on senior general management positions when vacancies arise. With the baby-boom generation reaching retirement age, companies need solid succession planning process to ensure continuity of leadership. 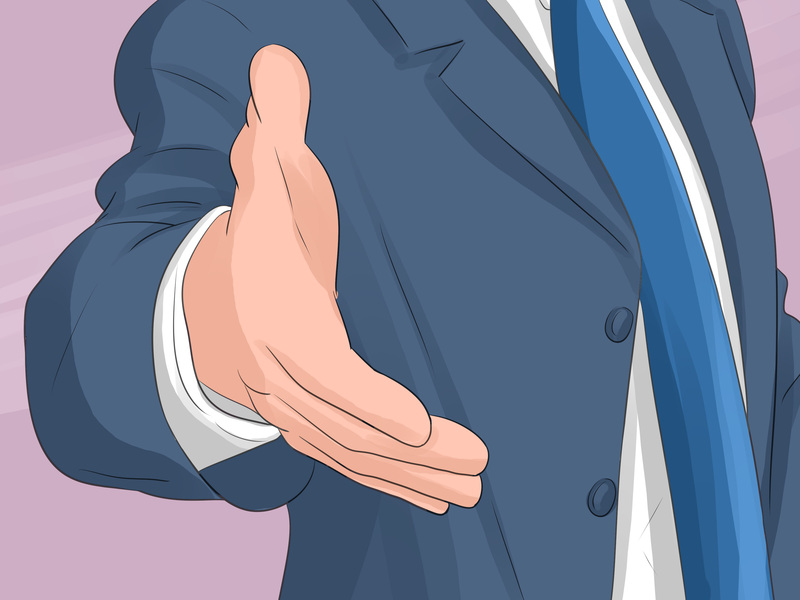 Your leadership skills play a big part in influencing your career development and career path. Technical skills will only take you so far, it is the softer skills, such as the ability to lead, that will help you to get noticed on the job. “Why Wait to Acquire the Title of Leader? Develop Your Leadership Skills Today,” Acquire leadership skills to prepare for a leadership role within your organization. At RISE we develop people’s Leadership Skills so they have the confidence and authority to make a real difference in their organisations. You may have some people who now have to 'step up to the plate' and take on far more of a leadership role than previously. You may need them to demonstrate the kind of leadership behaviours that others aspire to. There may be managers who have to take the next step and go beyond being good or even excellent managers, to become inspirational leaders within the business. Our approach is to run leadership programmes where natural leaders can develop the skill and insight to become great ones. And where fledgling leaders learn to lead with flair and authenticity. Leadership Development and Training programmes Our Leadership Development and Training programmes push each and every participant to gain a rigorous personal insight into what makes them tick and then, with that understanding of themselves, to stretch their ‘comfort zones’ into new and challenging territory. Coupled with this we focus on their ability to see what's going on. This is the one essential quality that anyone in any position of leadership must develop. Whether you're running a company, running a business or running a home, you can't excel unless you can see things from all points of view. Our Leadership Training Programmes are intensive, provocative and very challenging. This course provides you with both useful ideas and practical tools to improve your overall supervisory and management effectiveness. Mid-level and front-line managers and supervisors are the driving force for improving performance, productivity, quality, and innovation in today’s organizations. Whatever pressures and opportunities face you, this training will provide you with useful new skills and insights. Mid-level and front-line supervisors and managers with some experience. The training is especially useful for "home-grown" supervisors and managers who have come up through the ranks of their organization. Group communications skills, running better meetings, using consensus, and creative problem-solving. Better Meetings — group communications, run effective meetings, reach consensus, and do creative problem-solving with groups and teams. Making business decisions is your most important function as a leader — and your riskiest. Every leader is expected to make strategically sound decisions, but decisions are more than judgment calls based on experience and domain-specific knowledge. Leaders are made or broken by the quality of their decisions. Surprisingly, many of us approach decision making in a way that neither puts enough options on the table nor permits sufficient evaluation to ensure that we can make the best choice. Strategic decision making employs processes and tools to solve problems taking into consideration all elements affected by the decision and the resulting potential outcomes. In this course, you will learn how to apply systematic decision-making processes in order to reduce risk and choose the best course of action for the project, team, the organization, and you. This course reveals the steps necessary to making decisions that are strategically aligned with business objectives and provides problem solving tools to address a range of challenges that every leader encounters. Develop insight into how you make decisions on your own and in collaboration with others. Enhance your toolkit for solving problems and making sound decisions. Promote buy-in with the right decisions. Enhance commitment to decisions across groups. 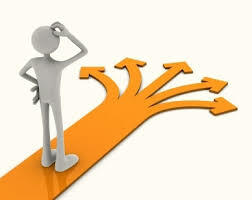 Feel confident in the knowledge that decisions are the best choices that will produce the best results. Make important decisions that are not likely to generate unexpected or undesirable outcomes. Establish decision making processes that work across organizational silos and enterprise boundaries. Clearly define and frame complex issues using structured decision-making models. Implement consensus decision-making models effectively. Quickly and successfully identify root causes and analyze problems. Effectively assess and manage risk critically evaluating costs, risks, benefits and impact. Apply systems thinking and strategic scenario planning. 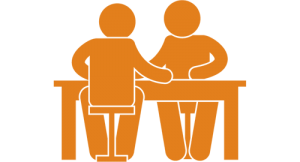 Identify, position, and build agreements with key stakeholders. Problem resolution is a "three step" process. 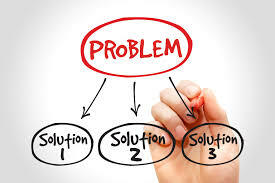 Step one explores the boundaries of the problem and defines it; step two examines potential solutions and establishes criteria for the logical selection of a solution. Step three evaluates solutions on the criteria to identify the solution most consistent with the desired outcome or objectives. This program will use this "three step" approach to not only define a reasoned process, but to also deal with the emotional impact, brought on by the human element. The recognition of the importance of defining the boundaries of the problem. The dangers of making unfounded, or inaccurate assumptions. The ability to identify and develop the skills necessary to achieve collaborative outcomes when dealing with conflicts that might arise from competing solutions. The knowledge of techniques that allow the maximizing of team problem solving efforts. How to define the nature of the problems. How to separate givens from perceptions/assumption. An understanding of the nature and causes of conflicts during a problem solving session. How to manage the emotions that often develop around conflict and to focus on proven methods for using the positive aspects of conflict to build a collaborative process. The Advanced Leadership Training focuses on self and interpersonal development, in addition to the management of groups and teams. The training stresses self-awareness, goal-setting, cross-cultural competencies, and people development. As a participant of this premiere programme, you will have the opportunity to deepen and enrich your leadership capacity through an integrated curriculum including interactive workshops, peer-feedback sessions, professional coaching, and experiential learning opportunities. vision, and choices that affect your performance, relationships, and commitments. Embrace a different leadership mindset and behaviours that enable you to leverage your impact on people and organizations. Acquire team and communication skills to ensure your ability to contribute to team performance, synergy, and success. Personalized: This helps you identify and target your distinct leadership goals. Global: Leadership practices vary across cultures. A formulaic approach to leadership will fail those interested in working in varied regions or in highly global organizations. Curriculum. Confidence. Connections. Community. You'll learn global business leadership skills from world-class faculty. And together with experienced leadership coaches, you'll develop a personal action plan to transform classroom learning into personal and professional success. RISE Advanced Leadership Training for Executives is the first of its kind to address the gap in effective training for high-achieving executives. Learn how to lead cross-functional teams to compete for tomorrow's global assignments. Develop personal strategies for building power and influence. Recognize Asian and Western cultural biases and competencies. And find out how to get more of what you want. With RISE, the learning happens everywhere—both inside and outside the classroom. Even though cooperation and collaboration is valued in organizations, they remain inevitably hierarchical. Because aspiring leaders are challenged by the idea of power, this training will highlight the importance of getting comfortable with power, understanding the fundamentals of power dynamics, and developing one’s own path to power. Getting to senior executive positions requires an understanding of the CEO's agenda—how they measure their own success, how they spend their time, how they communicate with different audiences, and their temperament. This training will provide insights from successful CEOs of medium and large companies. As a leader, you spend the majority of your time communicating with others. You probably don’t spend much time thinking about the way you do this, nor are you likely to get honest feedback on the way you communicate. Yet the quality of communication largely determines your effectiveness. This training will provide guidelines for improving your own communication style. In particular, we will focus on your persuasive skills — how to convince others to accept your ideas or support your position, even if they are skeptical at first. Why do successful companies lose their competitive edge? The answer is not obvious, for these companies have all the resources and capabilities to stay on top—financial, market, intellectual, and technological. To avoid this "success syndrome" managers must be effective at simultaneously managing incremental innovation as well as leading revolutionary or discontinuous change. The purpose of this training is to explore how managers can balance the tension between the short- and long-term, with particular attention to the use of culture in their organizations as a potential source of competitive advantage—or disadvantage. Many companies who make gender diversity a priority—by setting aspirational goals for the proportion of women in leadership roles, insisting on diverse slates of candidates for senior positions, and developing mentoring and training programs—are frustrated. They and their companies spend time, money, and good intentions on efforts to build a more robust pipeline of upwardly mobile women, and then not much happens. A significant body of research shows that for women, the subtle gender bias that persists in organizations and in society disrupts the learning cycle at the heart of becoming a leader. This research also points to some steps that companies can take in order to rectify the situation. It’s not enough to identify and instil the “right” skills and competencies as if in a social vacuum. The context must support a woman’s motivation to lead and also increase the likelihood that others will recognize and encourage her efforts—even when she doesn’t look or behave like the current generation of senior executives. Enjoying a good challenge – and seek to find meaning and purpose from each circumstance they face and opportunity they are given. They like to see and understand the connectivity of thoughts and how they work or why they don’t. They want all the facts and figures before making important decisions. Competitiveness amongst themselves may really be about looking for validation — an identity that matters and a voice that is heard. Successful women leaders don’t rely on favours; they earn respect and truly believe they can influence their own advancement by serving others. Consummate team players, they also seek to prove their value and self-worth by exceeding performance expectations.. Looking for respect more than recognition, the most successful women leaders don’t seek to become the star of the show — but they enable others to create a great show. In other words, being in the spotlight is not what drives them – but rather it’s the ability to influence positive outcomes with maximum impact. Women leaders understand survival, renewal and reinvention. They have grit and are not afraid to fight for what they believe in or an opportunity to achieve something of significance. They believe in what they stand for, but that doesn’t mean they won’t put their ideas and ideals to the test. For them, doing more with less is simply a matter of knowing how to strategically activate those around them. Opportunity-driven When confronted with a challenge, the women look for the opportunity within. They see the glass as half-full rather than half-empty. They push the boundaries and, when faced with adverse circumstances, they learn all they can from it. Optimism is their mindset because they see opportunity in everything. Women enjoy the ebbs and flows of business activity and they know that the best things are accomplished when they are done naturally – and unforced. When things are happening organically, this means that they are functioning within a natural rhythm and speed – that is safer and risk adverse. Women are not uncomfortable with risk – in fact, they will often tackle risk head-on in order to get to the root cause of a problem and to solve for it (they value time and money). Women leaders who don’t allow their egos to stand in the way of good business are in the mindset of getting things done for the betterment of a healthier whole. Entrepreneurial Entrepreneurship is just a way of life for many women. They can be extremely resourceful, connect the dots of opportunity and become expert in developing the relationships they need to get the job done. Many women leaders also see through an entrepreneurial lens to best enable the opportunities before them. They know that to create and sustain momentum requires 100% focus on the objective – and so they don’t enjoy being disrupted by unnecessary noise and distractions. Many women leaders find excitement and motivation by being extremely creative and resourceful when completing tasks and other duties and responsibilities –. They avoid falling too far behind on projects – knowing that if they do it will disrupt their focus and momentum. Purposeful and Meaningful Many women leaders enjoy inspiring others to achieve. They know what it’s like to be the underdog and work hard not to disappoint themselves and others. 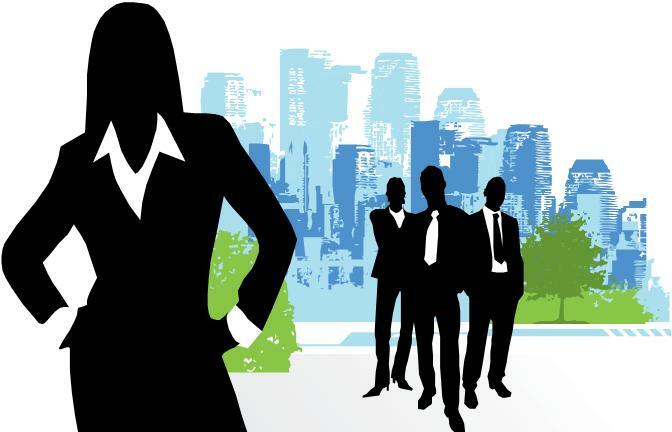 Women leaders in particular often have high standards and their attention to detail makes it difficult for others to cut corners or abuse any special privileges. Women have a nurturing nature and are good listeners and excellent networkers/connecters. They enjoy creating ecosystems and support a collaborative leadership style that melds the thinking and ideas of others; this is what multiplies the size of an opportunity and/or its speed in execution in order to create a larger sphere of influence and overall impact. Women who don’t have to be right all the time make good consensus builders and will more likely enjoy participating in a team environment. Women are big believers in team building and the enforcement of mission, goals and values to assure that everyone is on the same page with like intentions. This secures a sense of continuity making it easier for everyone to have each other’s backs. Women are Opportunity Experts Women see opportunity in everything and everyone – their neighbors, friends, family, business associates, strategic partners, etc. Women have the ability to see opportunity and give their ideas life and inspire others to do the same. Women, when given the opportunity to be themselves, are natural leaders! Women are Networking Professionals Women are masters of navigation and putting their ideas to the test is their gift. They do this through networking. They follow-up and make sure they sow their seeds of ideas in the most fertile networking ground. Additionally, their inherent ability to be creative allows for the discovery of opportunities that most miss. Women Seek to be Relationship Specialists Women are specialists at cultivating relationships that are purposeful, genuine and meaningful. They focus on growing healthy, long-lasting relationships. Women don’t quit. They thrive at creating and sustaining momentum for both themselves and others. Women are masters at facilitating connection points between people, resources and relationships. This is why women are such effective and efficient leaders. They don’t waste time and can quickly identify areas to consolidate, organize and strengthen business outcomes. In fact, some of the best project managers I know are women. Their attention to detail is uncanny and their ability to track, evaluate and manage change is impressive. They aim to assure the betterment of a healthier whole.